You are cordially invited to the Christmas Party of the Year!! 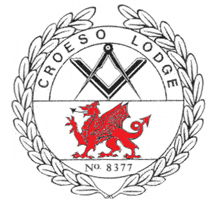 The Croeso Gala Ladies Evening will be held on Saturday 16th December at The Cardiff Masonic Hall. This event is always the highlight of our social calendar and a perfect way to kick off your Christmas celebrations. As ever, Masonic and non-Masonic guests are most welcome so why not bring a few friends or loved ones along and give them a tour of the Temple as well as treating them to a first-class night out. Check them out at http://www.thescarletons.co.uk/ and dust off your dancing shoes!! As always for this event, tickets are selling fast so please book early to avoid disappointment. To reserve your place please email jandhmears1@nullsky.com. Remember to include your menu choice from the selection below.